The team says that, for the first time, the fallout of Fukushima Daiichi nuclear reactor fuel debris into the surrounding environment has been "explicitly revealed" by the study. The scientists have been looking at extremely small pieces of debris, known as micro-particles, which were released into the environment during the initial disaster in 2011. The researchers discovered uranium from nuclear fuel embedded in or associated with caesium-rich micro particles that were emitted from the plant's reactors during the meltdowns. The particles found measure just five micrometres or less; approximately 20 times smaller than the width of a human hair. The size of the particles means humans could inhale them. 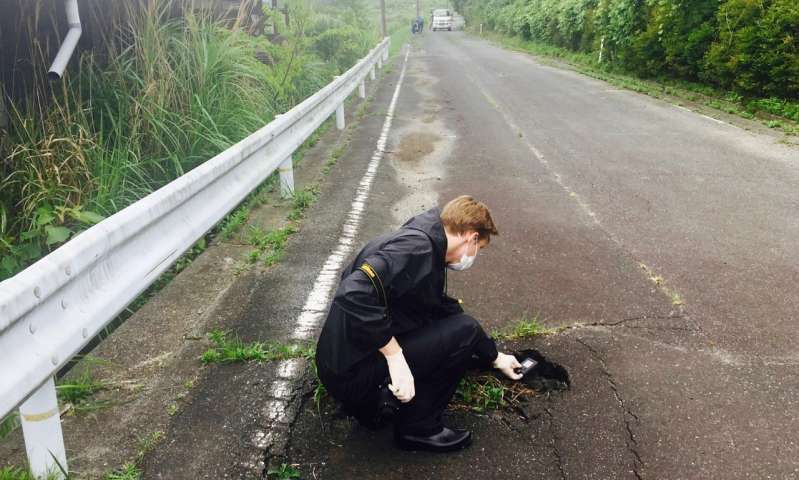 Dr. Gareth Law, Senior Lecturer in Analytical Radiochemistry at The University of Manchester and an author on the paper, says: "Our research strongly suggests there is a need for further detailed investigation on Fukushima fuel debris, inside, and potentially outside the nuclear exclusion zone. Whilst it is extremely difficult to get samples from such an inhospitable environment, further work will enhance our understanding of the long-term behaviour of the fuel debris nano-particles and their impact." The Tokyo Electric Power Company (TEPCO) is currently responsible for the clean-up and decommissioning process at the Fukushima Daiichi site and in the surrounding exclusion zone. Dr. Satoshi Utsunomiya, Associate Professor at Kyushu University (Japan) led the study. He highlights that: "Having better knowledge of the released microparticles is also vitally important as it provides much needed data on the status of the melted nuclear fuels in the damaged reactors. This will provide extremely useful information for TEPCO's decommissioning strategy." Why is nobody in prison? We know enough about the dangers of nukes now to end all of them. Because it was a tsunami that caused it. All nuclear reactors are built on coasts for easy access to cooling water, convenience over safety. Nuclear is now more dated than Corcord and that was retired years ago. Time for them all to close.